Welcome to D&D's Known World! Let's share some tales of heroes and adventure! Hi gamers, I'm Olga, your talespinner, welcome to my blog! I've grown up loving fantasy books, toys, games and movies, and started playing Dungeons & Dragons with the "grown ups" when I was about 8, so I've been a gamer almost half my life. I love creating new stuff for the game and talking with other gamers, but I've found some of the communities a little unwelcoming of younger players and fans, so I decided to start my own place to share my stuff and talk to you guys. To get started, I wanted to talk about which game I use, and next time, I'll go over the setting; the D&D Known World. I started gaming with the old Basic D&D rules, the red book with the dragon on the front, and moved on to Expert and Companion rules as I went along, but lately I've started to love the Basic Fantasy RPG, a newer, small press game that, in the words of the creator, "is a rules-light game system modeled on the classic RPG rules of the early 1980's. 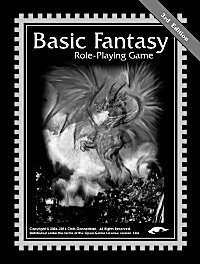 Though based loosely on the d20 SRD v3.5, Basic Fantasy RPG has been written largely from scratch to replicate the look, feel, and mechanics of the early RPG game systems. It is suitable for those who are fans of "old-school" game mechanics. 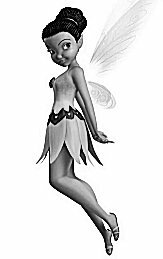 Basic Fantasy RPG is simple enough for children in perhaps second or third grade to play, yet still has enough depth for adults as well." See, for those who don't know the Open Game License was established by Wizards of the Coast, D&D's current publisher, around 2001 to allow other writers and publishers to make and sell books and materials that were totally compatible with D&D. The d20 SRD mentioned above is the document containing all the open content from D&D that publishers were allowed to use under the terms of the license, reserving only a handful of trademarked things for official Wizards of the Coast D&D products exclusively. This created a flood of new publishers, who made all kinds of things that pushed D&D to its creative limits and gave birth to the current version of D&D, and offshoot D&D based games like the Pathfinder RPG. Some publishers and a lot of fans got bored of the new style game though, and wanted a return to the older versions of D&D, mostly long forgotten by Wizards of the Coast. Designers started reshaping the D20 game, rearranging stuff from the D20 SRD to look more like D&D from the 1970s or 1980s. Basic Fantasy RPG was one of the first of those, and has stood the test of time for over a decade now, with tons of support from loyal fans. Simply put, BFrpg takes the D20 SRD rules and materials and twists them to emulate Basic D&D from the early 1980s, but the game's creator, Chris Gonnerman, made a few changes to streamline and "modernize" the game. There's only two big changes you need to be aware of though. First off, BFrpg uses the modern version of the D&D combat system. Instead of checking your chance to hit against the opponent's Armor Class (AC) on a chart, or using the shorthand To Hit Armor Class Zero (THAC0) formula to resolve attacks, BFrpg and other D20 based games, including modern editions of D&D itself, just give a character an Attack Bonus (AB) that scales by level and class. In combat, AB is added to a d20 roll and the result is compared to the opponent's AC. If the adjusted attack roll equals or exceeds the AC, you hit. I'm not a huge math whiz, but other players tell me that the basic math formulas for each system are basically the same. Old style THAC0 system subtracts, the new AB system uses mostly addition, with only penalties to hit being subtracted from the d20 attack roll. Whatever, right? In the end though, switching between the two is very easy. In the old system, AC "improves" as it goes lower, with an unarmored man having AC 10 and the toughest, magical creatures sometimes getting an AC of -10, or less. The AB system also has AC start at 10 for an unarmored man, but it improves by going up. That well armored knight might have an AC of 20, and a tough magical creature could reach AC 30 or beyond! Using creatures from one system in the other is easy though. If your BFrpg AB system fighter goes up against an old monster with no official BFrpg conversion, just subtract that monster's old AC from 20. Example: The DM wants to use a monster from an old D&D adventure in her BFrpg game. Not finding a BFrpg conversion of that monster, she just looks up the critter's old THAC0 system AC, we'll say it's 4. To convert that to BFrpg AB system, she just subtracts 4 from 20. 20-4=16, so 16 is the monster's BFrpg AC. Characters who attack it roll a d20 and add their AB, if the result is 16 or higher, they hit! Remember that subtracting a negative number turns into addition. So if the old monster's AC is -2, its BFrpg AC would be 20 - (-2) = 22. 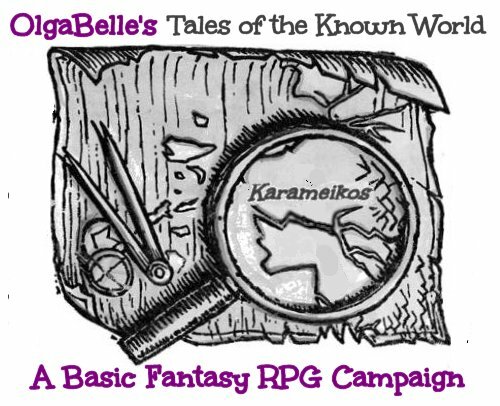 Alternately, you might find some new monster in one of the tales here, or in a BFrpg adventure or rule book, and want to use it in your Basic D&D or AD&D 1st/2nd edition game. That's easy too, and exactly the same. Just subtract the BFrpg AC from 20 to get the THAC0 AC. Example: Bob, another DM, prefers to use the old AD&D 1st edition game rules, but finds a tale here about the dreaded fluppysnorfkin, a nasty monster whose details are too hideous and frightening to speak of here. In the BFrpg system, Fluppysnorfkins have an AC of 18. Bob subtracts 18 from 20 to get the THAC0 AC of 2. The nice thing here is that there are no negative ACs in BFrpg, although an unarmored character with an AC penalty due to a very low dexterity score or some other situational penalty could end up with an AC of 5 to 7, the chances of having a stack of penalties that bring an AC to 0 or below are very, very low. One thing a lot of people seem to dislike about old school D&D is the limits put on classes, mainly as they relate to which races are allowed to take which classes. D&D assumed that all non-human characters would fit into the stereotypical role for people of their race, so Dwarf, Elf and Halfling are classes, along with the four main human options. I think it kind of makes sense that the other races would have the same variety of people that humans do, and BFrpg takes a little more modern approach like most new games and lets you pick a race, and then a class for that character. Dwarves and halflings can be fighters, clerics or thieves, and elves can pick from any of the four main classes. Since the races are not much more than descriptions and a minor special ability or two, this doesn't unbalance things that much or lead to players being tempted to min/max create their character, choosing a race totally based on some imagined in game advantage instead of wanting to role play a character of a fantasy race. If you prefer to keep things true to old D&D though, or you're adapting something from here or BFrpg back to D&D, just assume that all dwarves and halflings are fighters and all elves are combo-classed fighter/magic users and you'll get things right about where they were in old Basic D&D. There's other minor differences between the games here and there, but those are the two big ones. Monsters, treasures and spells can usually just be used as is, with a little common sense where things don't match up perfectly.